Click here to download a copy of my Curriculum Vitae. 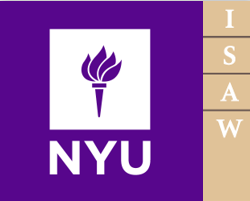 I am currently the Paleoethnobotany Lab Director at the Max Planck Institute in Jena, Germany and recently completed a Visiting Research Fellowship through the Institute for the Study of the Ancient World (ISAW) at NYU. 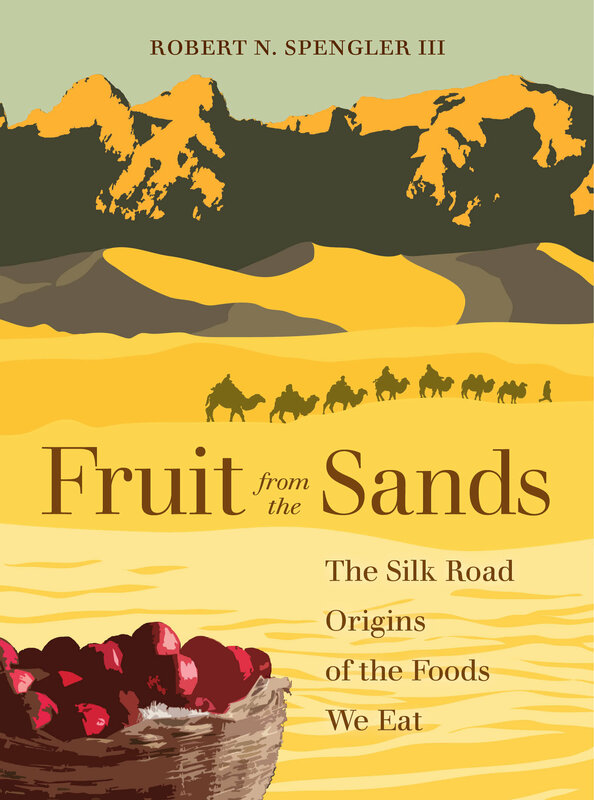 During my time at ISAW, I finished writing a monograph titled “Fruit from the Sands: The Silk Road Origins of the Food We Eat”. The book presents an up-to-date summary of the spread of farming into Inner Asia and then moves forward in time to look at the movement of certain crops along the ancient Silk Road. The Silk Road directly shaped cuisines across the ancient world as well as the kinds of food we eat today; in presenting the archaeobotany of Central Asia, this book follows the history of many of the familiar foods we all take for granted. Indeed, some of the most important artifacts of the ancient Silk Road currently sit on our dinner tables – apples, peaches, apricots, and pistachios all passed through Central Asia as they spread across the ancient world. The next time you eat a piece of apple pie or peach cobbler, consider that you are consuming the legacy of the great Silk Road! To get a “taste” of this research and the topics covered in the book, please click here to view the video of a public lecture that I presented on November, 15th 2016 at the ISAW in New York City. The book is published with the University of California Press and can be purchased online through Amazon or other book dealers. For a more detailed description of the book and additional content not included in the book, please click here. 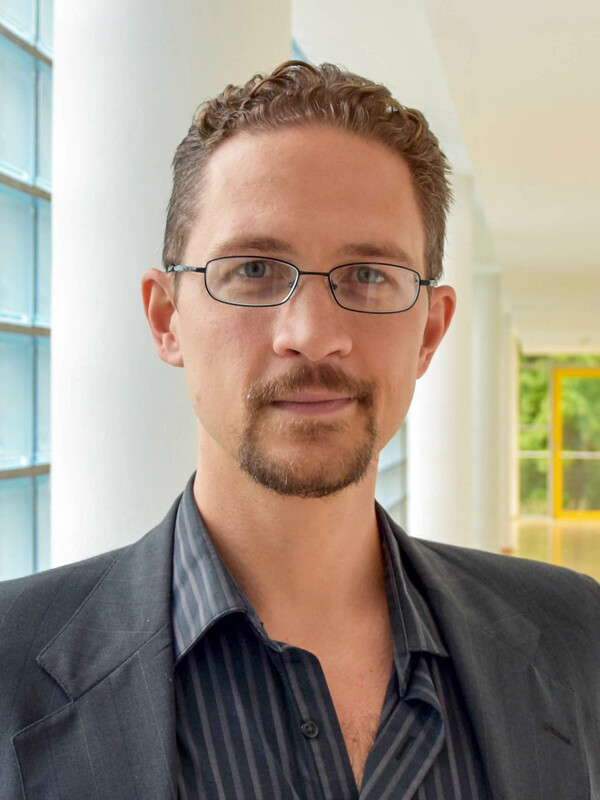 From 2013-16 I worked as a Volkswagen and Mellon Foundations Postdoctoral Fellow jointly appointed at the German Institute of Archaeology (Deutsches Archäologisches Institut, DAI), in the Eurasia Department and Freie Universität, Berlin. I also retain a posting as a Research Associate at Washington University in St. Louis in the Anthropology Department. I recently finished a Faculty Teaching Instructorship position at WashU, where I also defended my dissertation in March of 2013. 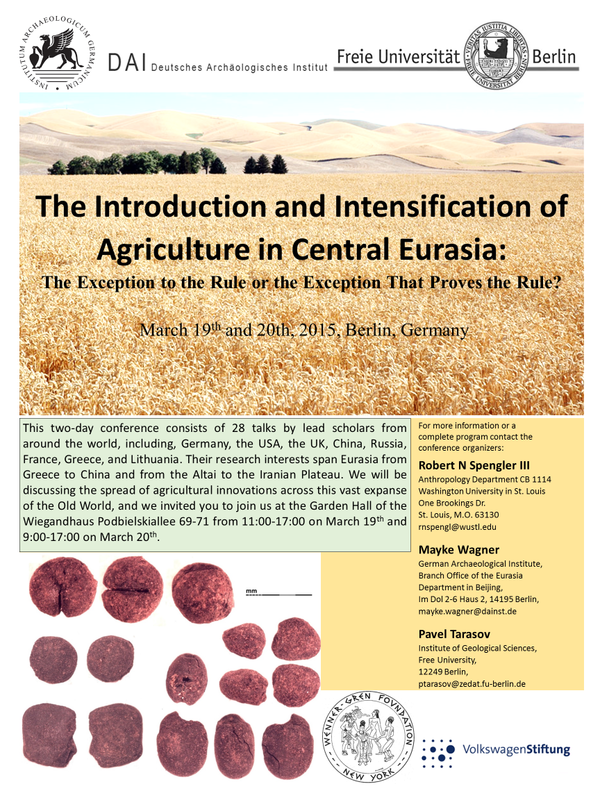 While in Berlin, I organized an international conference, funded through my grants, titled Introduction and Intensification of Agriculture in Central Eurasia: Exception to the rule or exception that proves the rule? This three-day conference consisted of 30 talks from scholars originating from ten countries spanning Asia, Europe, and North America; all of whom are leading experts on the topic of the origin and spread of agriculture in Central Eurasia. The proceedings of the Berlin conference are published in a special edition volume of The Holocene. I had the honor of editing this special edition alongside my esteemed colleagues, Mayke Wagner and Pavel Tarasov. This collection of articles is an important contribution to the field of Central Eurasian Archaeology. Check out my introduction here. Using macrobotanical methods to study prehistoric Inner Asian economy, I am specifically looking at trajectories of agricultural spread and adoption. I am interested in questions pertaining to paleoenvironment, cultural exchange, and social orders in the arid and mountainous zones of Central Asia and western China. These questions feed into a broader understanding of human adaptations, social development, and complexity while building a new view of the development of complex societies and the role of agricultural intensification. I study the adoption of agriculture by people in ecotonal regions of Central Asia, a topic which challenges the long-held view of Central Asia as a pastoralist realm, showing that mobile populations in the Iron and Bronze Ages also engaged in agricultural activities and diversified their economy as an adaptive strategy. I study both anthropogenic environmental change, notably ecosystem engineering and the conversion of forests to pastureland, as well as economic development, notably the adoption of agriculture across Eurasia. Over the past decade, I have directed archaeobotanical analyses in Kazakhstan, Turkmenistan, Tajikistan, Uzbekistan, and China, analyzed material from 15 archaeological sites, and published over 15 peer-reviewed articles in leading scientific journals. I am also collaborating with a wide range of fellow researchers from institutions around the world. In doing so, I am helping to fill in the last major gaps in the early archaeobotanical map of Asia, and showing how important the Silk Road was in the spread of specific crops and technologies. In a recent publication, in the Journal of Ethnobiology (available here), I point out, based on indicator species of seeds in ancient herd animal dung, that humans from the Bronze Age until today across Central Asia have focused their economic pursuits on small-scale microenvironments. I argue that the key to understanding human occupation in Central Asia is the mosaic nature of the steppe and not its perceived homogeneous expanse of grass. More recently, in a publication in the journal Human Ecology (available here), I took this argument a step further and pointed out that these ecotopes are constructed and maintained through human herding practices. Through a feedback process of herding, humans have changed the soil chemistry and selected for a distinct vegetation population, which is both nutrient-rich and tolerant to herd browsing. These constructed microenvironments become focal points on an otherwise sparsely populated landscape. However, known focal points for group gatherings, which are returned to year after year, drastically change the practical density of human habitation and facilitate social connection and ultimately exchange – leading to an imagined network of interaction connected by fixed nodal points. I have also applied this process of human ecosystem engineering to a regional scale and looked at the massive vegetation shifts that took place across Eurasia in the third through the first millennia B.C. In this sense, I am studying the early development of an agropastoral niche, the human niche that has dominated for most of the Holocene. My main goal through all of these publications is to show that complexity is a facet that involves more than the core “civilizations” and that peripheral populations directly shaped social trajectories among the imperial cores.